The last few decades have witnessed a notable rise in feminist interpretations of religious traditions. Researchers in the field of study have taken to employing modern epistemological methods in order to understand the standing and position of women in the history of the monotheistic religions and the ideological and theological structure upon which that position rested. To this end, hermeneutics assisted in comprehending the structure of religious texts and women’s presence within them. Such methodologies have done much to bring out the egalitarian dimensions of Qur’anic discourse. Hermeneutical efforts allow for the deconstruction of the latent negative perspective of women’s standing in Islam. This has led to the introduction of new difficulties and hypotheses which contradict traditional interpretations. 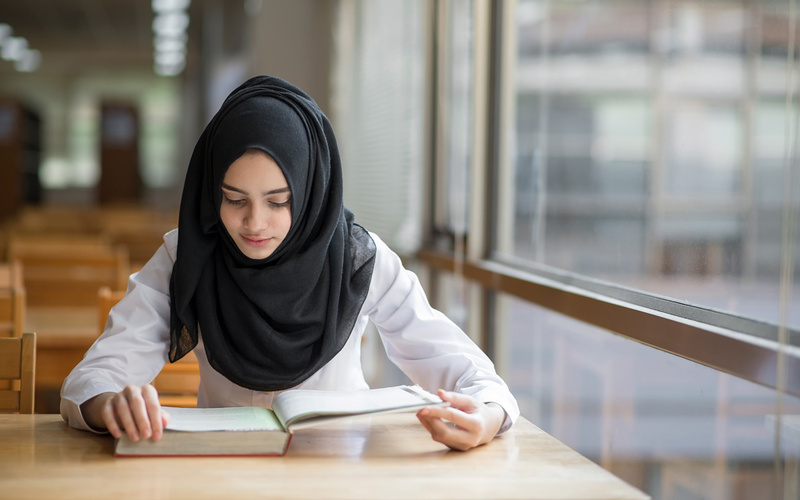 And, contrary to the regnant view which holds that women were marginalized in Islamic civilization, Muslim women reached the forefront of religious knowledge. This may be ascribed to the early days of Islam, which witnessed a women’s movement headed by the venerable Ayesha bint Abi Bakr. Indeed, this development was symptomatic of the remarkable renaissance brought about by the new religion. Al-Mesbar Center’s 143rd book ‘Women and Religious Knowledge in Islam’ (November 2018) seeks to address the effectiveness of Muslim women and their contributions to Islamic religious doctrines over the course of thirteen centuries. It chooses as models women who made prominent contributions in the fields of hadith (the Prophet’s oral tradition), Islamic jurisprudence, fatwas (religious edicts) and manuscripts. Researchers have sought to reexamine traditional sources from a historical and analytical perspective, and so taken note of women’s religious efforts in Islamic civilization alongside their legislative and political roles. The forbearer, Aisha Bint Abi Bakr al-Siddiq, is often called ‘the mother of the believers’. An innovative interpreter of Qur’anic text and jurisprudence in her own right, she is considered one of the very first women who entered what are now called the ‘Islamic sciences’, namely textual interpretation of the Qur’an, Islamic jurisprudence and hadith. 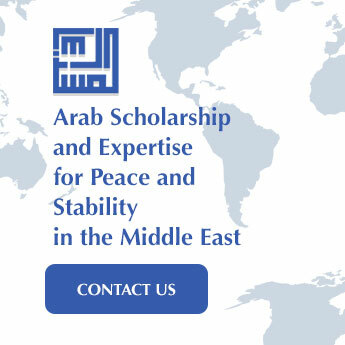 The Quranic translator Abdallah bin Abbas deemed her the ‘most learned person on earth,’ due to her breadth of knowledge and mastery of Islamic jurisprudence. She was famous for her defense of women in her elaboration of Islamic laws concerning them, as well as her opposition to interpretations degrading to them. She did not merely memorize the hadith and parrot it; rather, she was also a critical debater in the Islamic traditions of erudition and narration. The book devotes special attention to Zeinab Bint Ali, to whom Islamic literature ascribes considerable symbolic importance. It examines the means by which her image was constructed, and studies the different roles she played. Further, the book delves into the social structure which allowed a group of women to be influential actors, overcoming various obstacles, and addresses a number of problematic issues related to the relationship of women and politics as well as how these issues have been addressed in traditional sources. Women rose to prominence in various fields during the Ummayad and Abbasid eras, and responded to the intellectual challenges that arose over the course of Islam’s historical development. Female names emerged in the field of religious sciences, including speakers and jurists, and the book notes over sixty women who came to the fore in the realms of Islamic jurisprudence and hadith. Moreover, it continues to track their personal history, noting the positive impact they made, particularly for experts who followed them in subsequent eras: the days of the Fatimids, the Ayyubids, the Mamluks, and even the Ottomans. The book discusses the role of women associated with the study of hadith, a group which peaked in Egypt in the Fatimid era, in two parts: First, it uncovers the historical framework of women’s contribution to the science of hadith, and the recognition of the position these women occupied in the intellectual history of Egypt in that era. Second, it highlights the experiences of these women within the social and cultural milieu which impacted women’s agency in a Sunni Muslim community operating under a hostile official regime. In addition to historical investigations, the book examines the role of Muslim women in theological life during the Islamic middle ages in the realms of jurisprudence, Sufism, and the establishment of intellectual schools. Women’s roles were not limited to religious knowledge. Indeed, there were women who exercised authority either directly or indirectly, and who fought battles to strengthen the authority of their children or for themselves. Consequently, the book seeks to understand the political and social reality and circumstances which led a number of Muslim women to assume power over the course of Islamic history. In this, it focuses on two Isma’ili figures, the Fatimid woman and “the noble” Arwa Sulayhiyah, who ruled in Yemen. During the Ottoman Empire, four main issues were addressed. The first: the status of women during the established period of the Ottoman Empire (1299-1839); the second: the status of women in the private sphere during the same historical era; the third: practices related to women in the public arena, and Islamic foundations during this period, and, finally, the fourth, the status of women in the Ottoman Empire during the reform period. In addition, the book includes a study on Sufi women’s presence in their various roles, none more so than in the field of intellectual innovation. Indeed, female mystics in Islam were not reduced to being mere devoted worshippers. Some, those who delighted in a spiritual leadership, ascended to the rank of sainthood. Islamic history notes the existence of seven Sufi religious groups for women in Aleppo, between 1150 AD and 1250 AD. In Baghdad there were several additional religious splinters off of Sufism, the most famous of which was the association of Fatima al-Radeya, who died in 521 AH / 1127 AD. In Cairo, there was the famous Baghdadiya chain established by the daughter of Sultan Beybars I in 684 AH / 1285 AD in honor of the Sufi Sheikha Zainab Bint Abi Al Barakat, who is also known as the daughter of Al Baghdadiya. One of the book’s studies examines women’s religious endowments in the realm of Islamic sciences, and highlights the extent of their contributions in creating a renaissance of science by allocating their endowments to schools, scientific libraries, and workshops in mosques and oratories, and to their employees, scientists, and students. The book also contains a study on ‘Sheikha Fatima al-Obeidiya”, shedding light on the difficulties faced by women who sought to enroll in official religious institutions in Islam in the early twentieth century, in contrast to the scientific leeway that was available in the past centuries. This book comes at a time when Arab countries are striving to achieve stability, entailing the consolidation their institutional structures. A key ingredient in this process is support for civil actors in the fields of science, politics, and economy. The United Arab Emirates has made noteworthy efforts to empower women, such as the allocation of 50 percent of seats in the Federal National Council to women. Social reformists agree on the importance of bridging the gender gap and providing options for empowering and supporting women. The most important test for the success of these projects is their empowerment in society and the community’s collective awareness. One key aspect of this is the use of intellectual mechanisms to reclaim women’s position in history and the memory of their role in the creation of religious and secular knowledge alike. 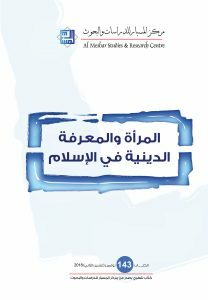 Al-Mesbar Center is grateful to all those who contributed to this book, in particular our colleague Rita Faraj, who coordinated this volume.